February is National Children’s Dental Health month! The American Dental Association is responsible for this informative month focused on children and their oral health. This month of observance is a time for professionals, healthcare providers, and educators to come together to teach children about how to take care of their teeth, gums and mouth. Our very own Dr. Milnor will be visiting schools around the area to teach kids about dental health. A really simple way to observe this month is to talk to your own kids about why it’s so important for them to take care of their teeth. They should know teeth get dirty each time they eat, and in order for them to stay healthy, they need to brush twice a day and floss. You can tell them what happens if teeth aren’t properly cared for and the damage plaque can cause. In addition to educating about cleaning and why that aspect is crucial, you can take the time to talk about why straight teeth are beneficial to their oral health as well. Straight teeth are easier to clean, and they are also going to remain stronger and not get any unnecessary wear and tear that might occur if they are improperly aligned and rubbing against each other when talking or eating. Another great way to honor this month is to have your child seen by the professionals. If it’s been more than six months since they were last seen by a dentist, make an appointment to have them examined. Cleanings done by a dentist are even more effective than the routine cleanings we do at home. Having the dentist talk about the importance of brushing and flossing can also make a big impression on kids who may not take it as seriously as they should. If your child is at least seven years old, make an appointment with an orthodontist too. 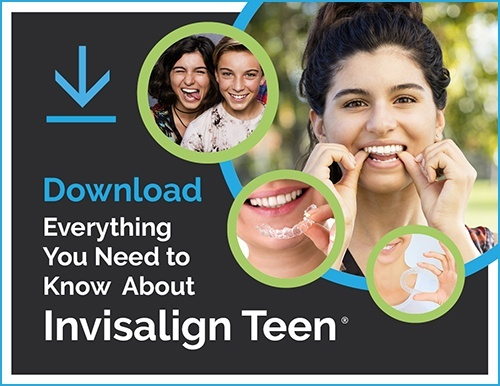 While many kids don’t need any type of orthodontic treatment at this age, the orthodontist can monitor their teeth and jaws while they are still developing. If they do have an issue such as a narrow jaw or incorrect bite, these can be fixed more easily when your child is younger rather than in their teen years when their jaws are more established. National Children’s Dental Health Month is an important month for raising awareness for children’s dental health, but the things that are focused on this month should remain a focus for the rest of the year. It should remain a focus always. Our team here at Milnor Orthodontics would be more than happy to answer any questions about dental health that you or your child might have, so don’t hesitate to ask!